Panel A lists the close-to-close returns of the momentum strategy. As discussed above, close-to-close return equals the sum of the overnight return and the intraday return. Momentum seems to show up in close-to-close returns. 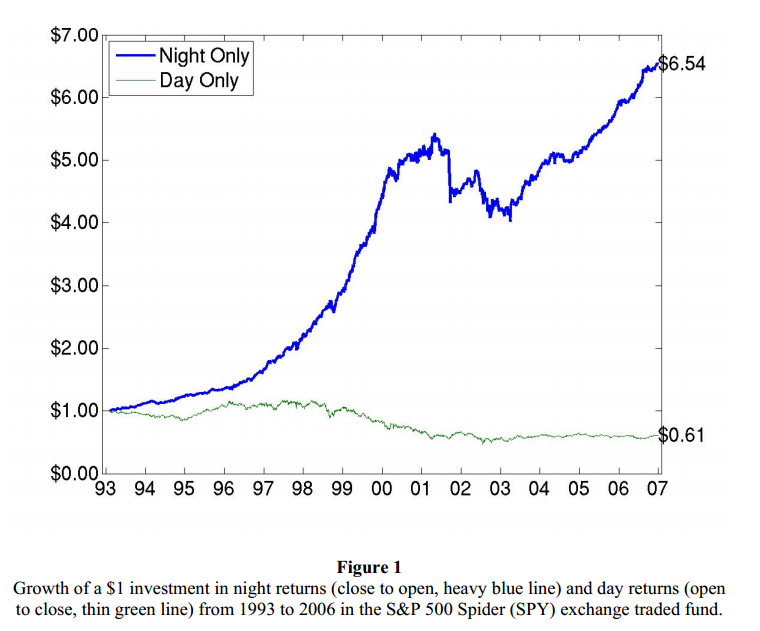 Panel B shows the main result of this paper: Almost ALL of the abnormal returns in the momentum strategy are generated overnight, rather than intraday.